In an effort to spruce up interest in its fall events, the PGA Tour last year decided to open its “season” in October, immediately after the FedEx Cup Playoffs. But the change in schedule has mostly had a cosmetic effect, shifting the status-gaining/money-grabbing chase to the beginning of the season instead of the end. To most top players (and most ardent golf fans), the 2013-14 season truly begins Friday with the Hyundai Tournament of Champions teeing off in Maui. The limited-field event, with only 30 players, will feature a few stars making their season debut, though Tiger Woods, Rory McIlroy and Phil Mickelson are all noticeably absent. Headlining the tournament on Kapalua’s scenic Plantation Course will be Australia’s Adam Scott, coming off a spectacular season that included his first major victory at the Masters last April. Scott finished in the top five in three of the four major championships and nearly captured the Australian treble at the end of 2013. Adam Scott, Australia (2013 FedEx Cup Ranking: 11) – Scott had the best year of his career and yet it could’ve been so much better. For the second year in a row he had the lead on the back nine of the Open Championship, but yet again faltered down the stretch and finished tied for third. With Tiger Woods’ (and Greg Norman’s) former caddie Steve Williams on his bag, Scott has dramatically improved his on-course management in top-flight events. If he can just find a way to close out those tournaments, 2014 should be another banner year. Jason Day, Australia (14) – Like his fellow Aussie and good friend Scott, Day had a memorable year, too, nearly winning both the Masters (third) and U.S. Open (T-2), while also finishing in the top 10 at the U.S. PGA Championship (T-8). But like Scott, mistakes at the finishing holes proved costly, especially at Augusta National, when Day led in the back nine for the second time in three years but was unable to close the deal. Day, who has just turned 26, is entering the prime of his career and has a chance to achieve a major breakthrough in 2014. Ryo Ishikawa, Japan (182) – Dubbed the Asian Rory McIlroy, the Japanese wunderkind had a promising rookie season on the PGA Tour, playing well enough to retain his status. He has taken advantage of the schedule change, playing in three fall events and finishing tied for second at the Shriners Hospitals for Children Open – the best result of his young PGA Tour career so far. Ishikawa, who turned 22 in September, will be working toward getting into all four majors this season and showcasing his talent. Bae Sang-Moon, South Korea (36) – In his second year on the PGA Tour, Bae became the third Korean to win a tournament (after K.J. Choi and Y.E. Yang) when he claimed the Byron Nelson Championship last May. He went into an extended slump after that, missing the cut at seven of his final 12 events. The 27-year-old Bae will be busy in the coming months, seeking to regain his form before appearing in his second Masters. K.J. Choi, South Korea (62) – The Korean veteran was consistent if not spectacular in 2013, making the cut in 20 of 24 events but ending with just a pair of top 10 finishes. He was likewise solid in the majors, making the cut in all four but not placing in the top 30 in any. At his relatively advanced age (he’ll turn 44 in May), his best days are probably behind him. But with his history at the Masters – three top 10s in his career – Choi is still a player to watch at Augusta National. Marc Leishman, Australia (69) – After a breakthrough 2012 season in which he finished 28th in the FedEx Cup standings, Leishman had a surprising showing at the Masters, tying for fourth. He followed that with two straight top 10 finishes, including a T-8 at the Players Championship. The rest of his year was a something of a rollercoaster ride, although he did also tie for 12th at the U.S. PGA. Danny Lee, New Zealand (DNQ) – South Korean-born but now a New Zealand citizen, Lee finished 15th on the Web.com Tour last season to earn playing status on the PGA Tour. Just 23 years old, Lee is now focused on playing in the U.S. after spending a couple of years dabbling in both America and Europe. Geoff Ogilvy, Australia (99) – The 2006 U.S. Open champion is still struggling to find his form after making just nine cuts in the 19 events he entered last season. He did manage to make the cut in both fall events he played in, but so far a return to be among golf’s elite isn’t evident. Other players to watch: John Senden, Australia (105); D.H. Lee, South Korea (114); Charlie Wi, South Korea (118); Aaron Baddeley, Australia (119); Greg Chalmers, Australia (122); Stuart Appleby, Australia (123); Y.E. 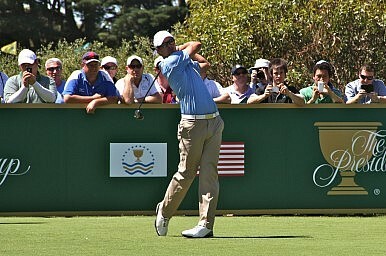 Yang, South Korea (172); Robert Allenby, Australia (185).